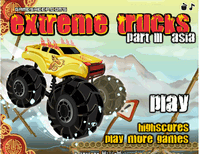 The game is looking like monster truck racing at the same time extreme Trucks 3 is the latest version of the game series. You have to control angry trucks over the asian deserts. 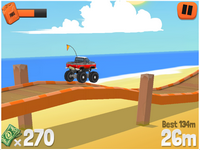 This is the first rule of the game , drive fast, never take damage then complete the race with the best degree.